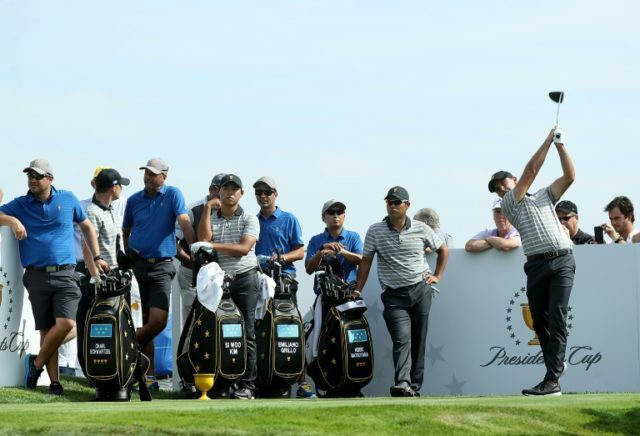 Jersey City (United States) (AFP) – International team captain Nick Price believes his “hodgepodge” band have the talent, and the fire, needed to prevent the United States from winning a seventh straight Presidents Cup this week. The biennial match play event between the USA and a team drawn from around the world tees off on Thursday at Liberty National Golf Club. The United States have won nine of 11 prior editions of the event, with one tie and just one International victory, in 1998 in Melbourne. World number eight Rickie Fowler boasts a tour win this year, and Brooks Koepka broke through for his first major title at the US Open. Price and his players say it will be crucial to get off to a quick start in Thursday’s five foursomes matches. They’ll play fourball matches on Friday, and four more matches in each format on Saturday before playing 12 singles matches on Sunday.